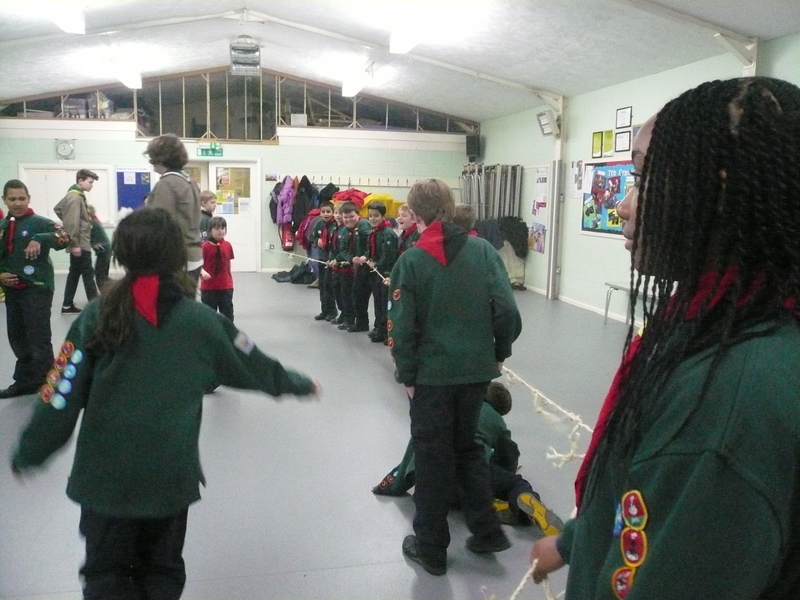 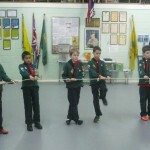 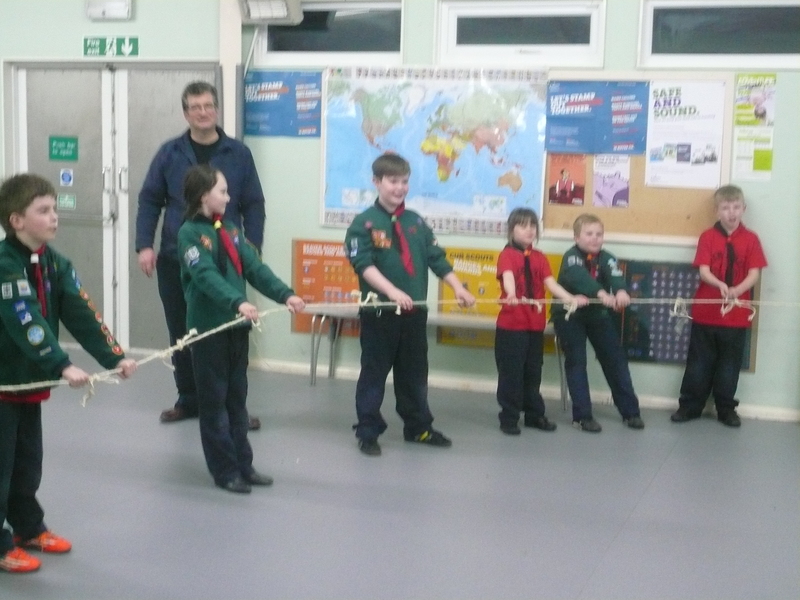 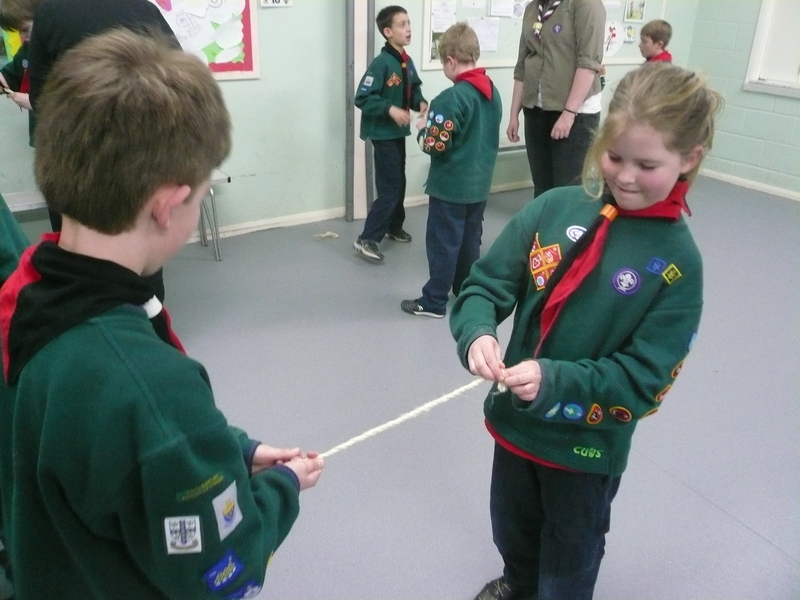 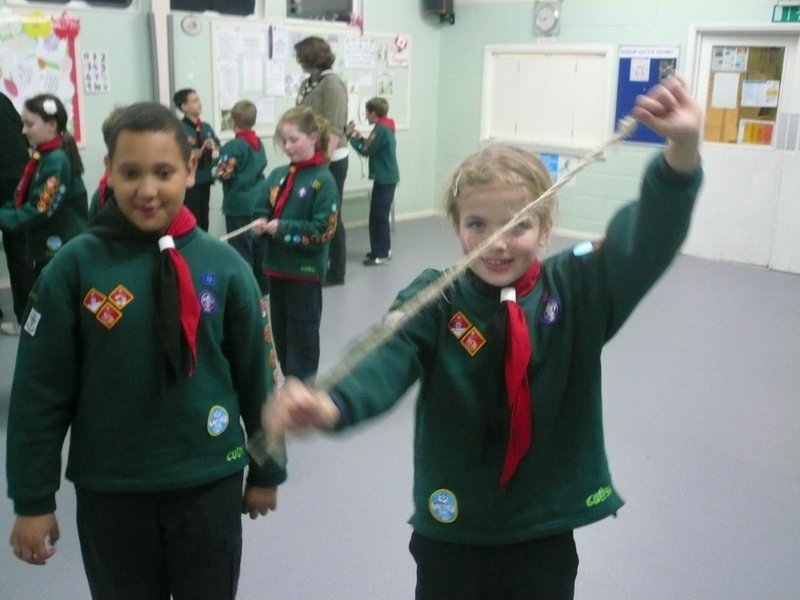 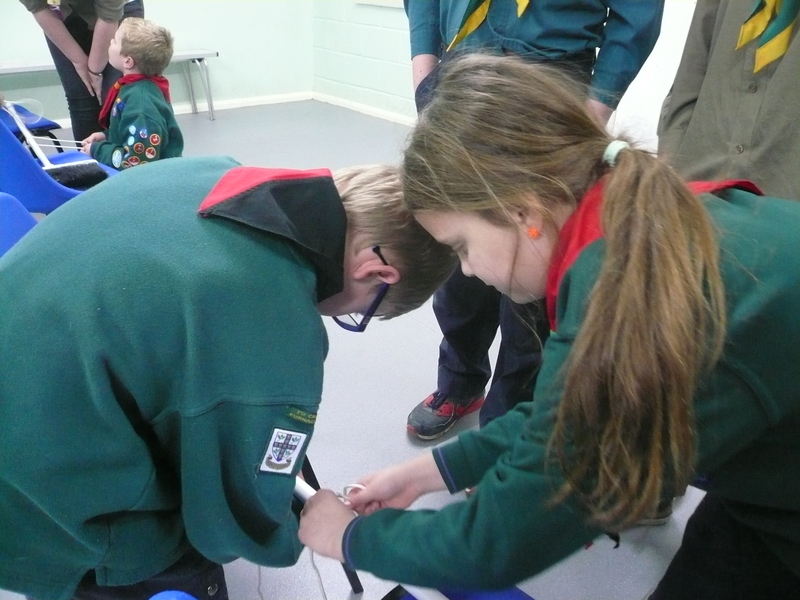 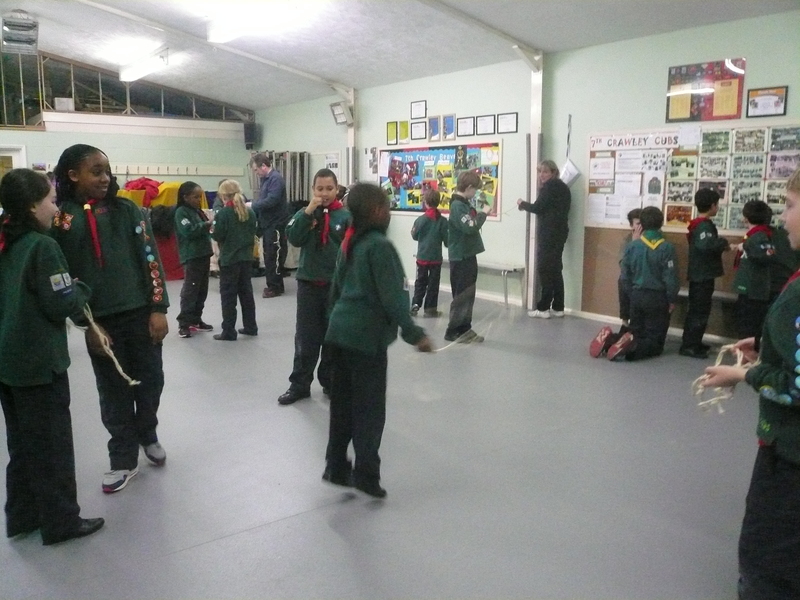 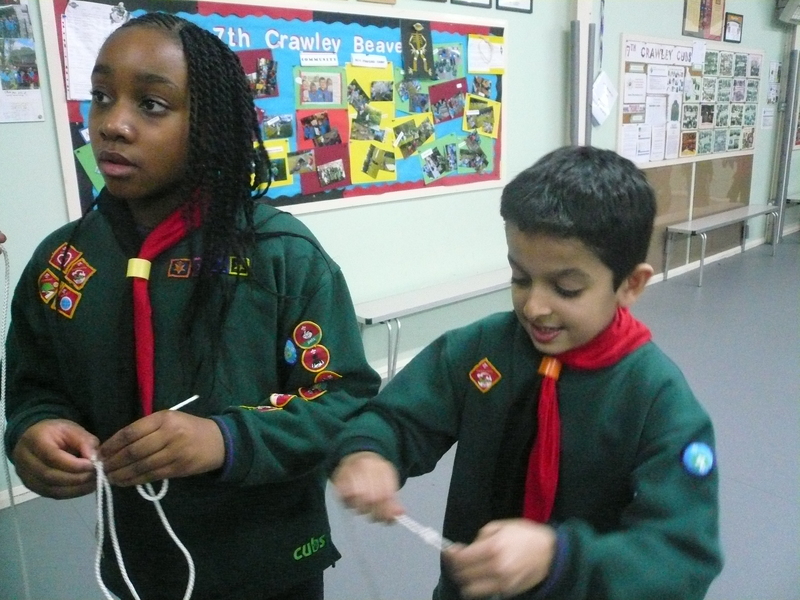 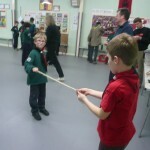 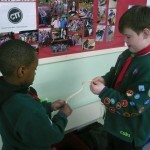 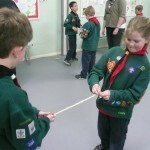 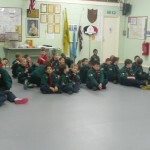 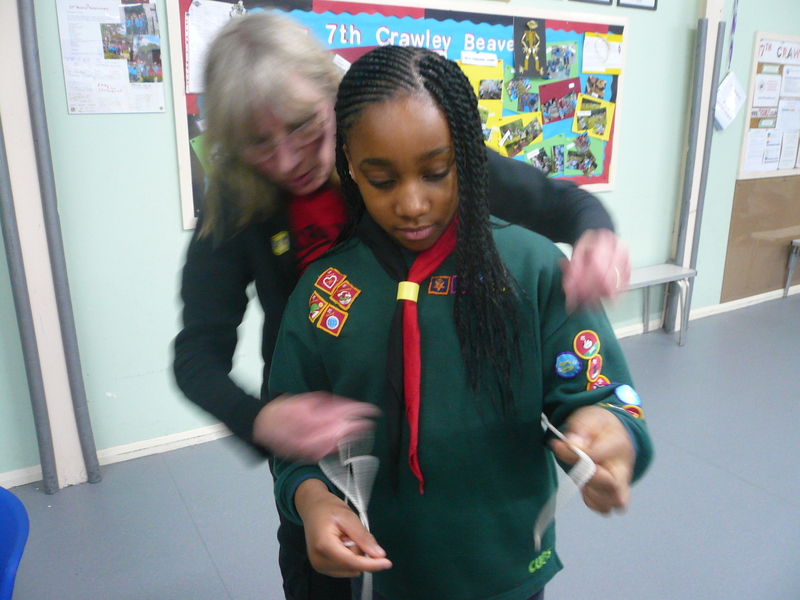 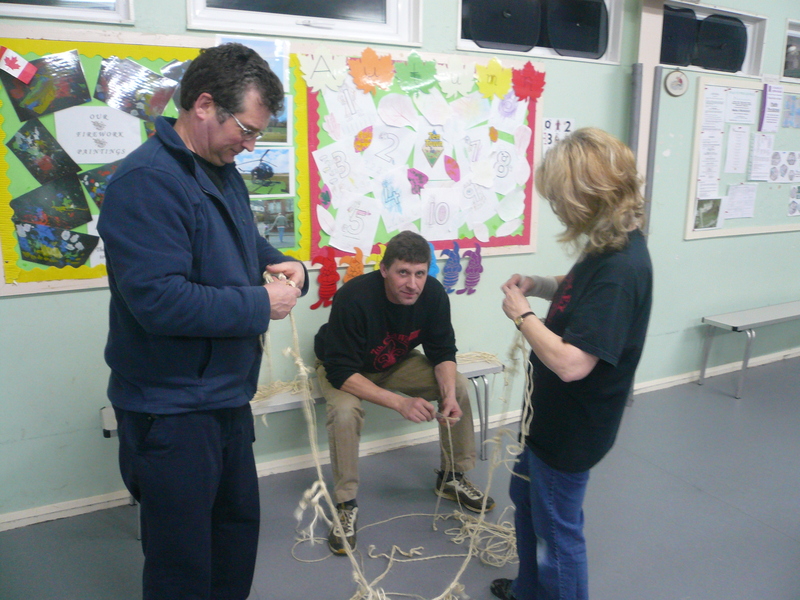 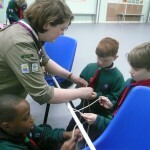 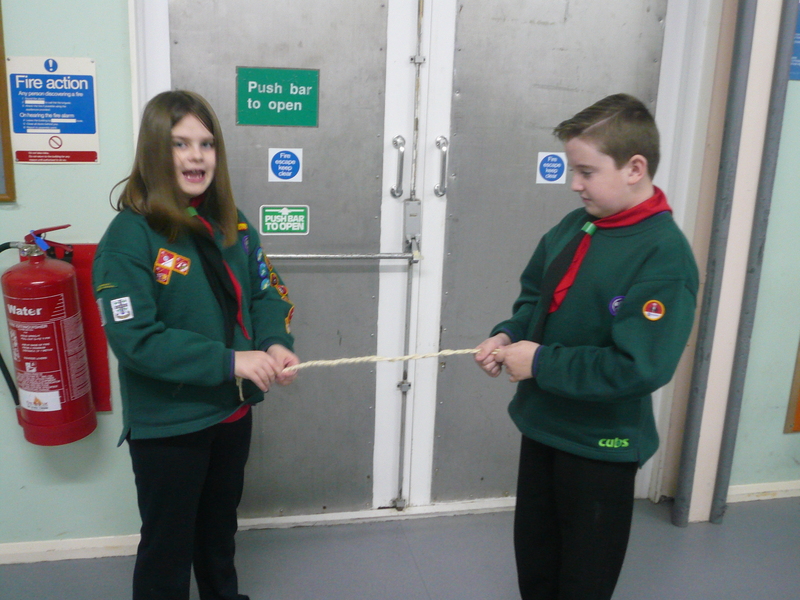 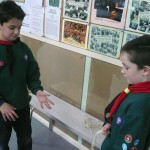 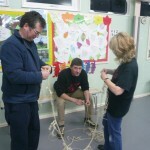 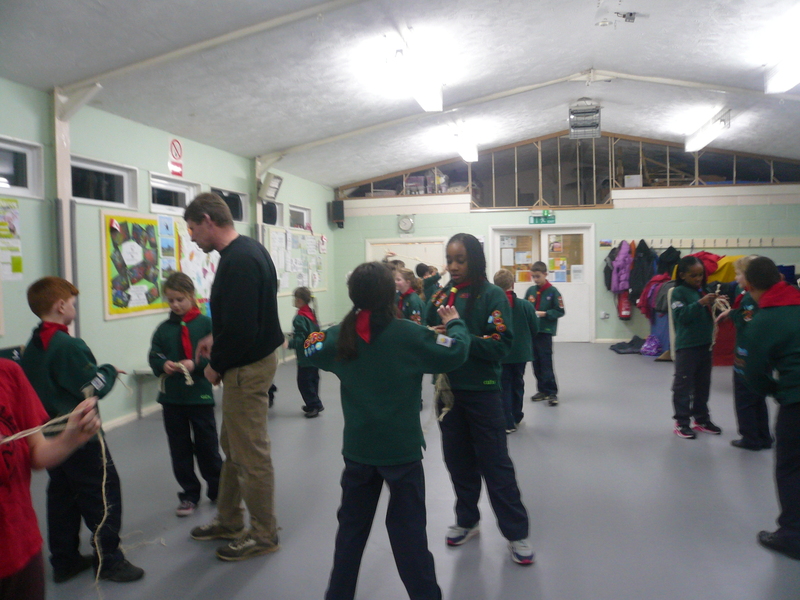 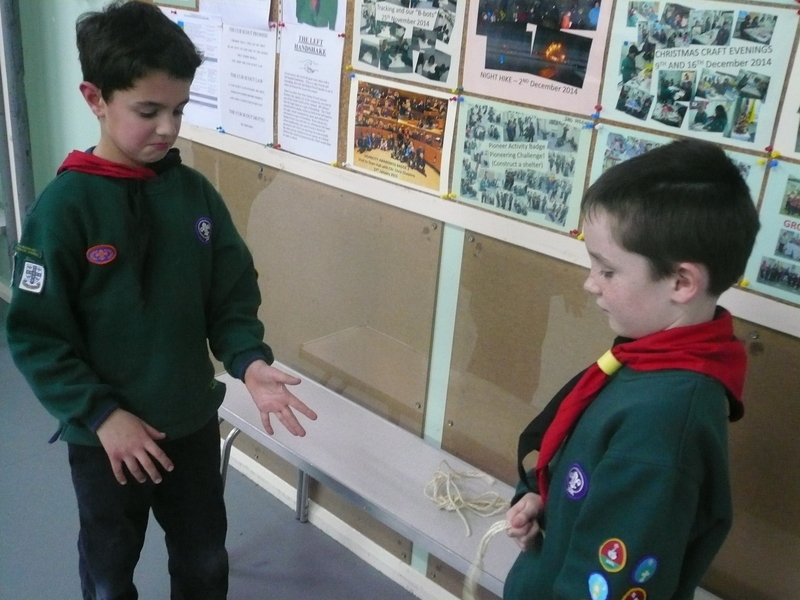 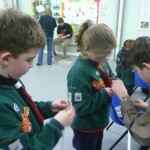 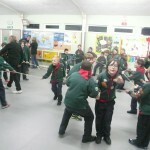 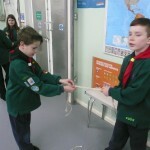 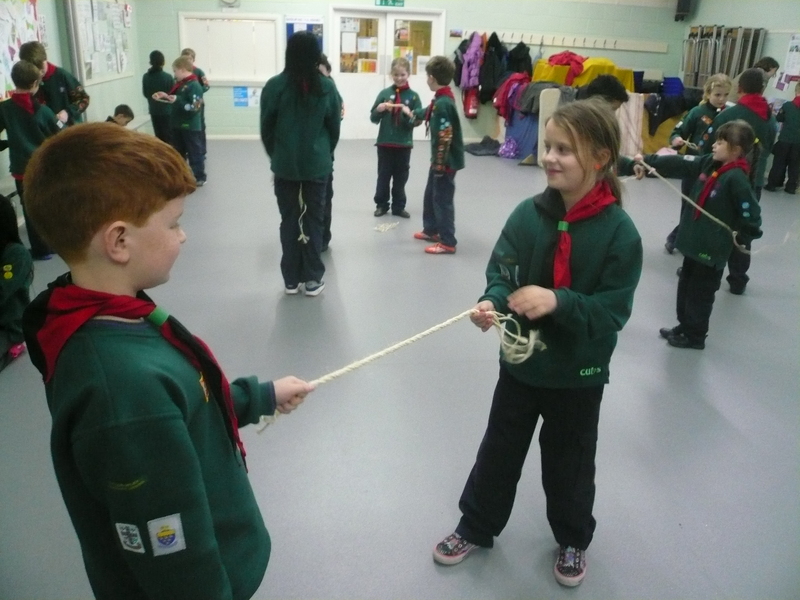 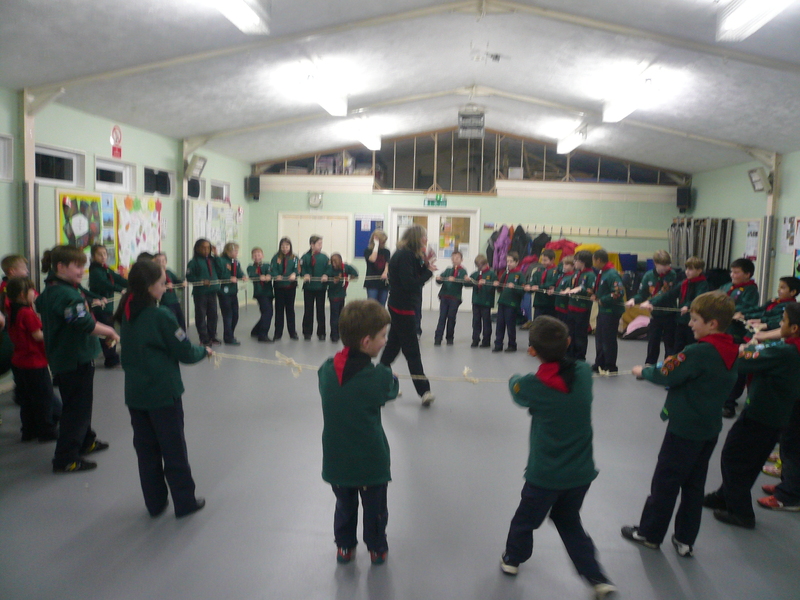 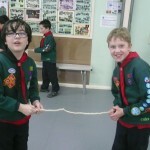 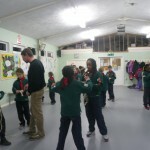 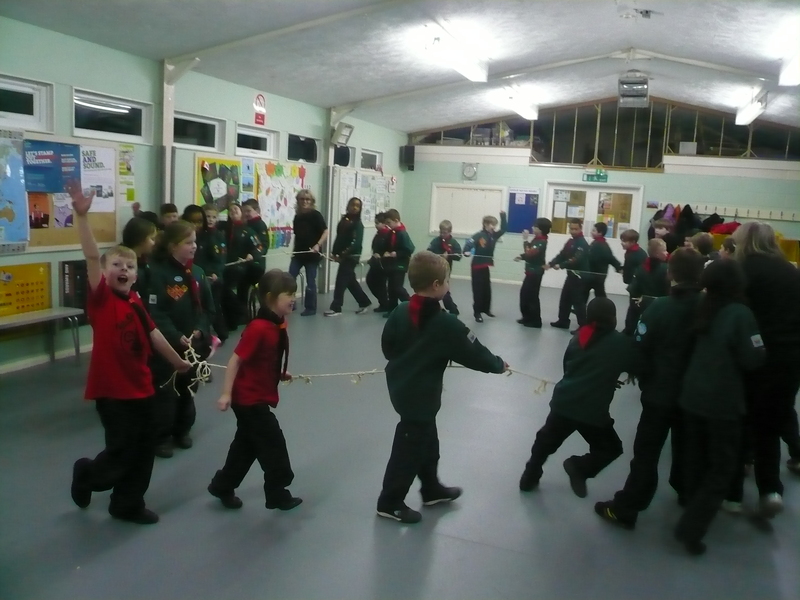 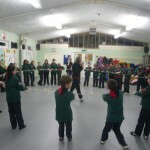 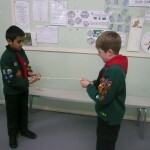 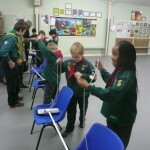 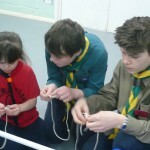 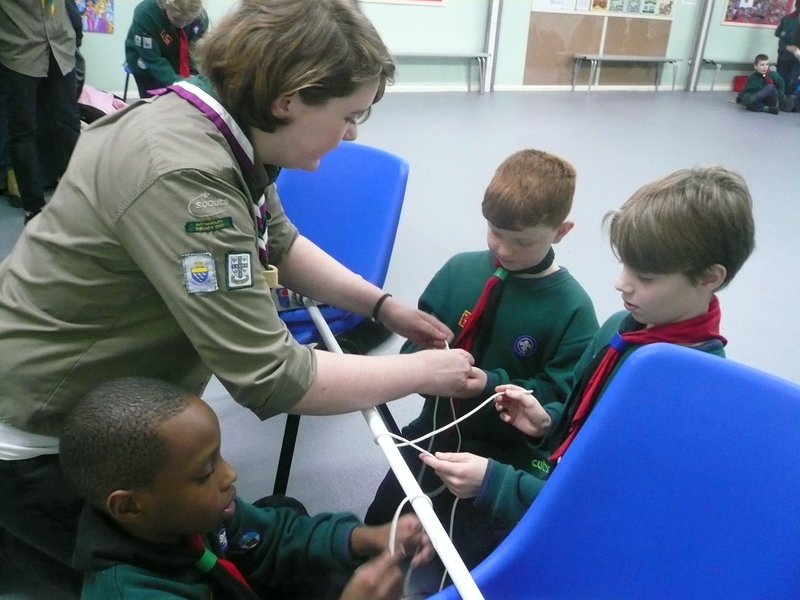 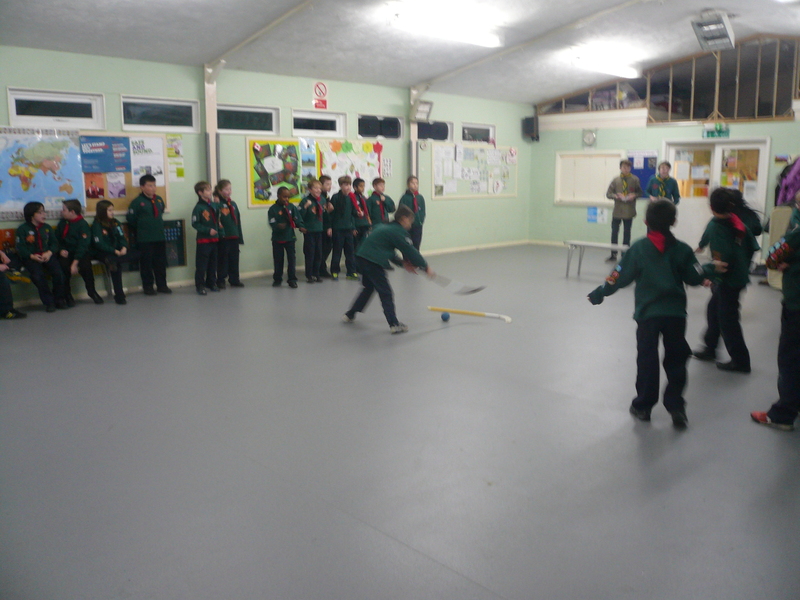 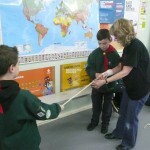 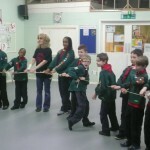 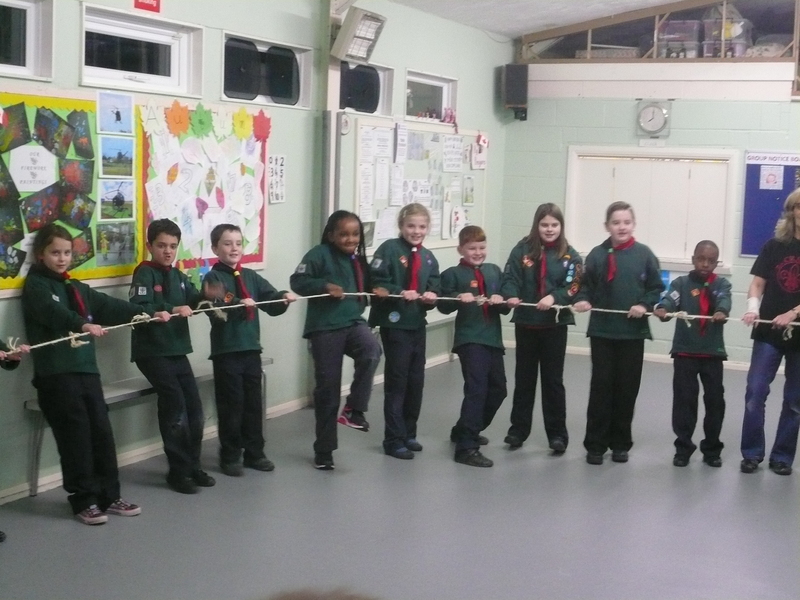 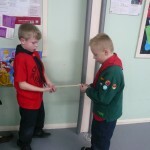 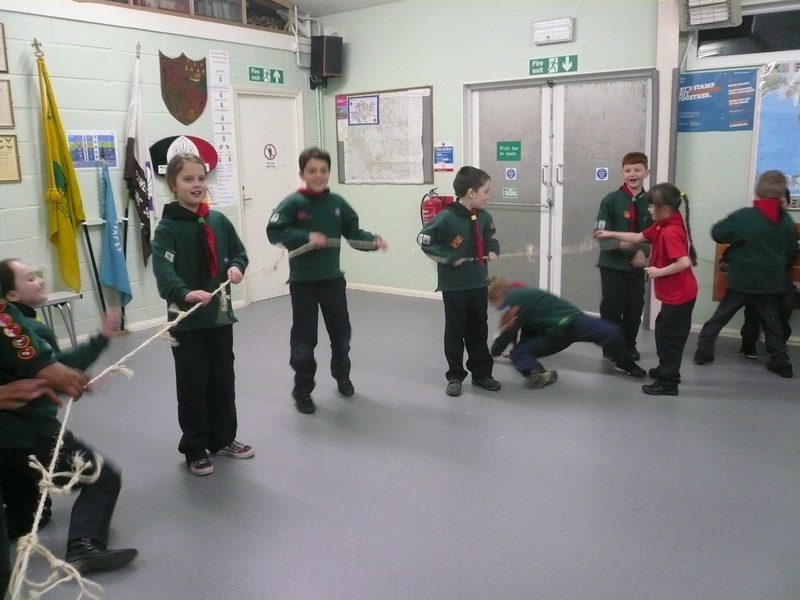 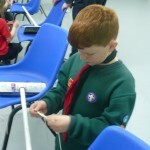 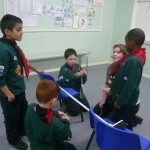 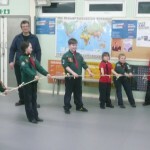 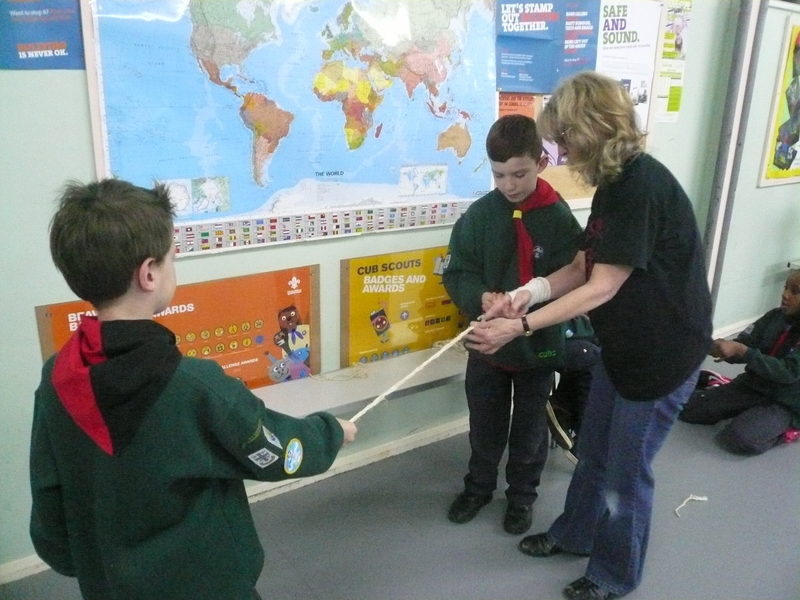 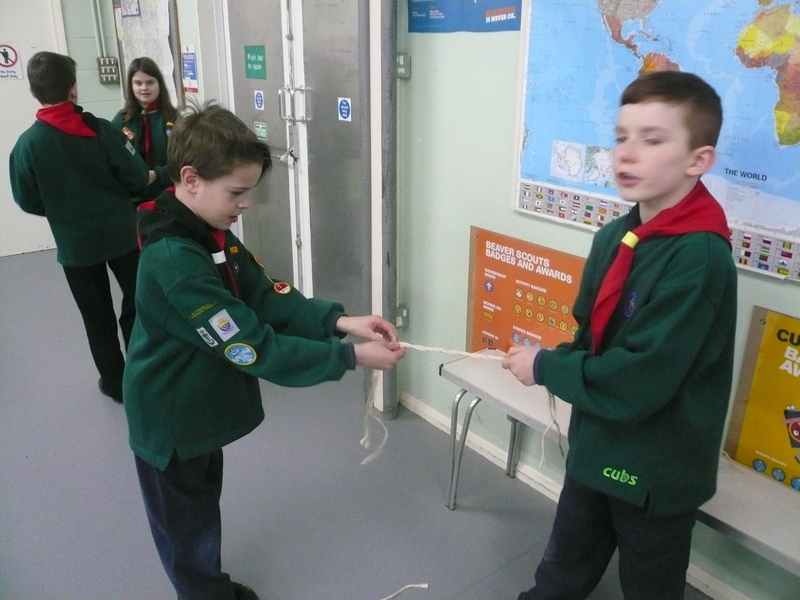 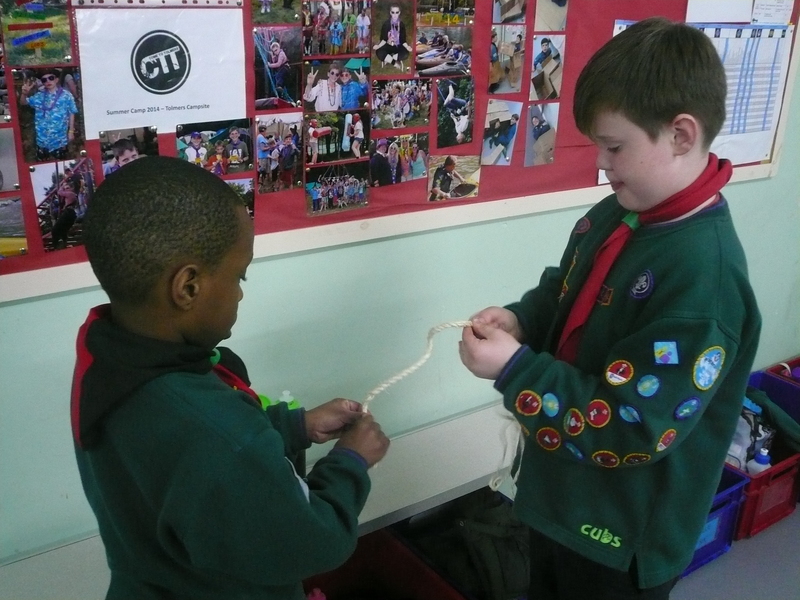 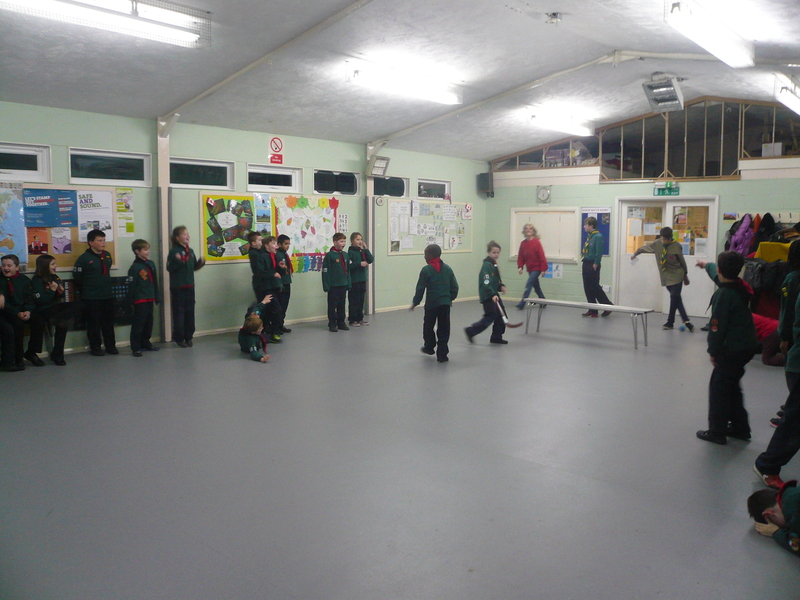 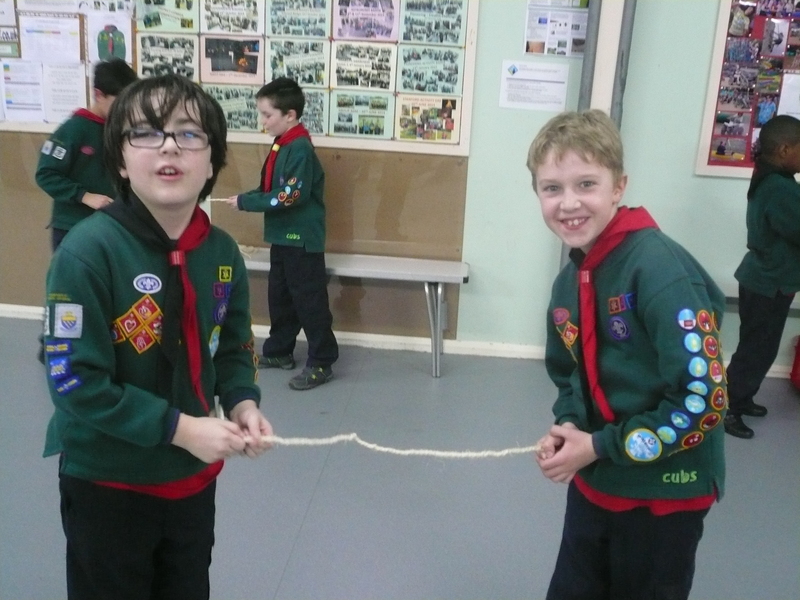 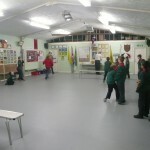 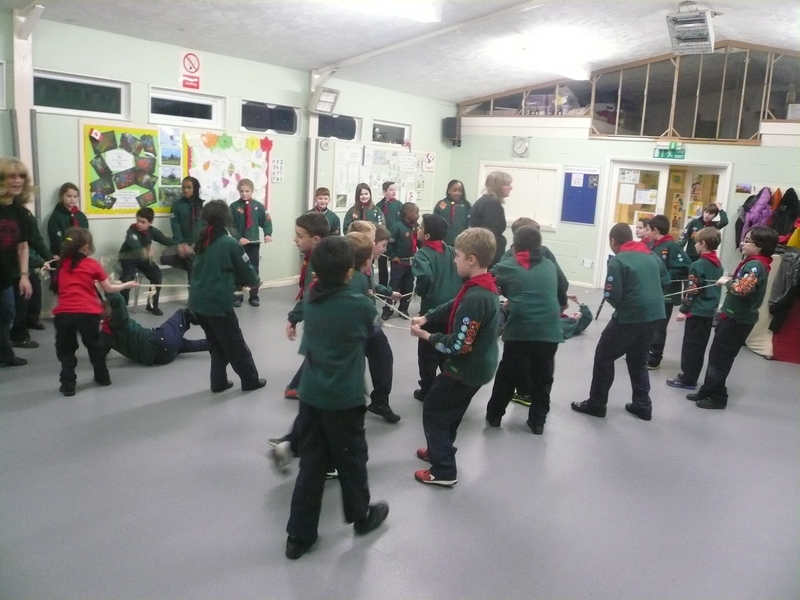 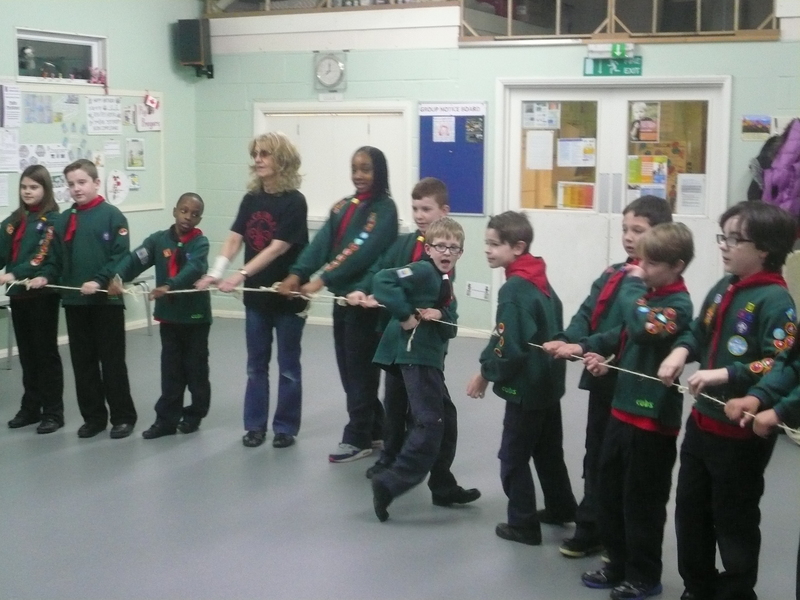 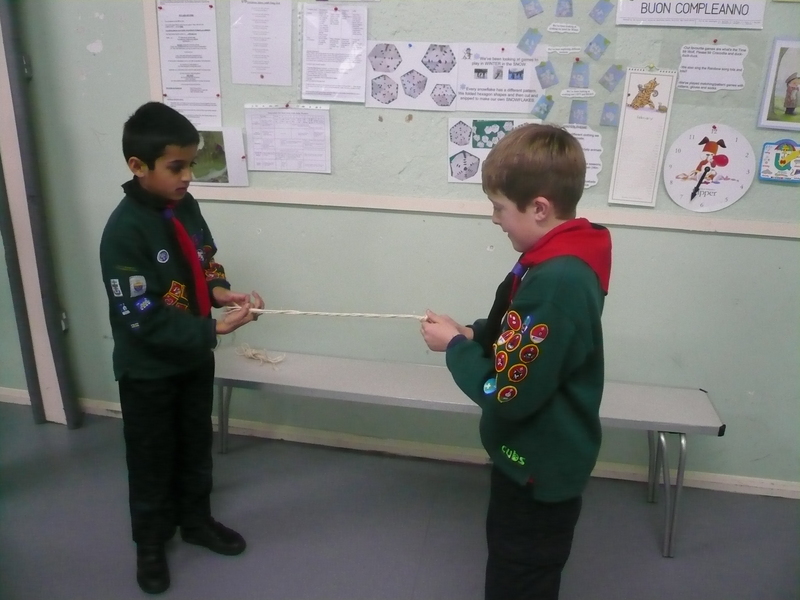 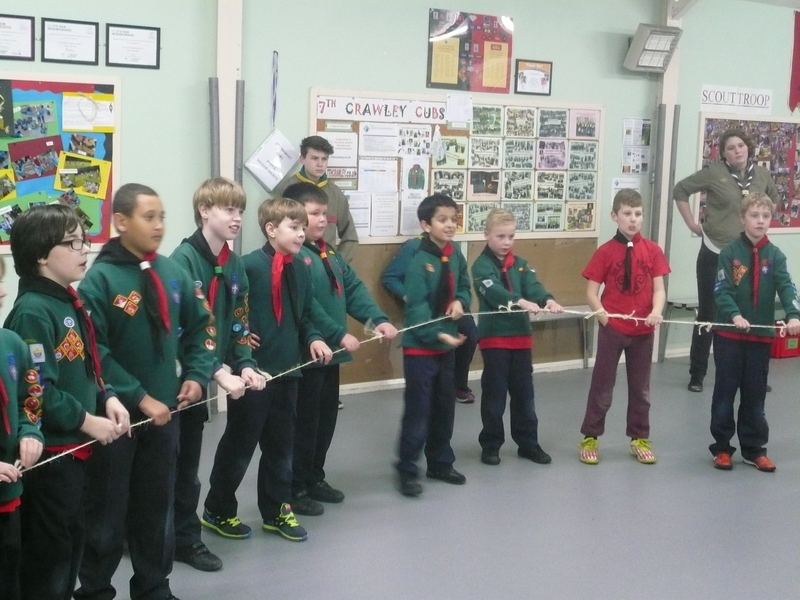 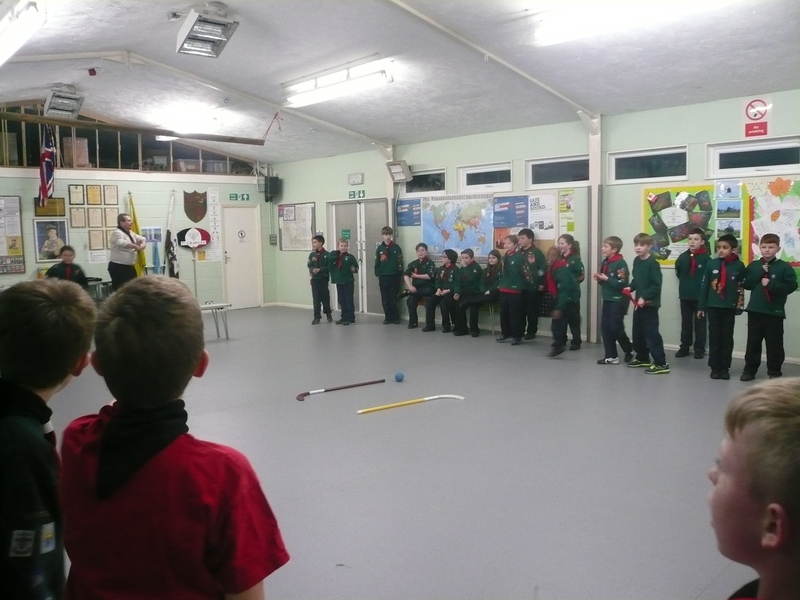 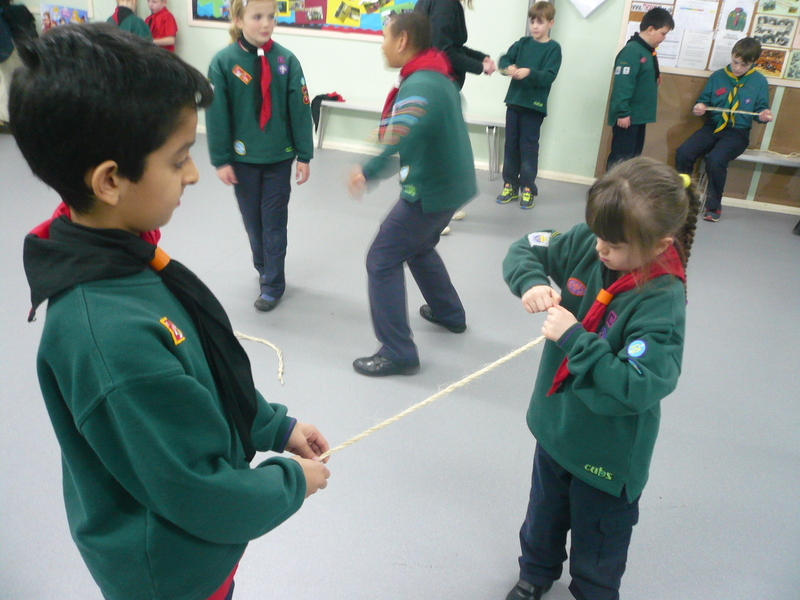 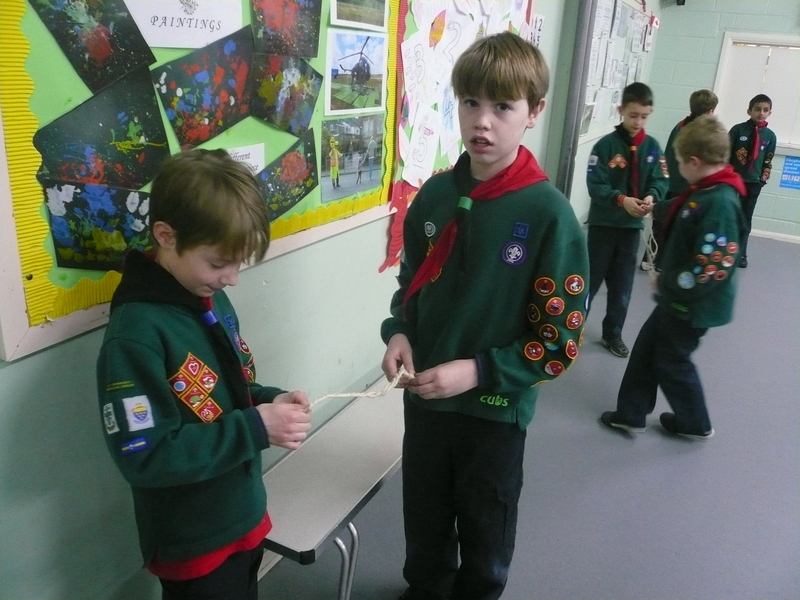 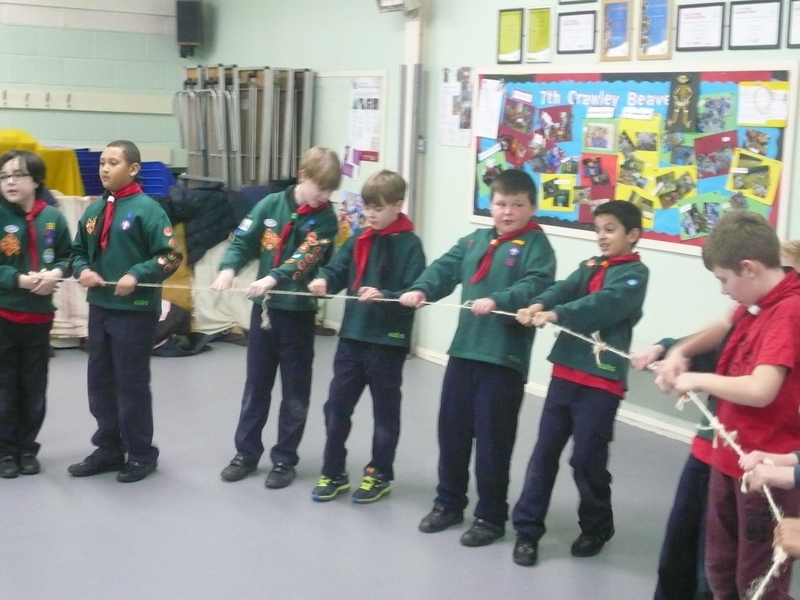 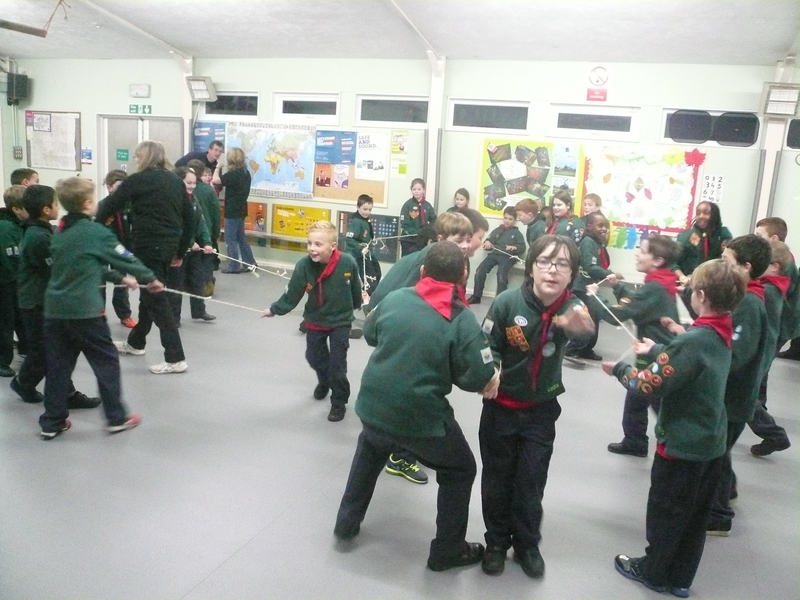 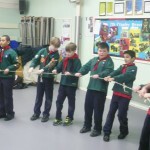 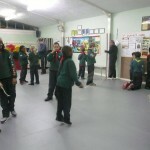 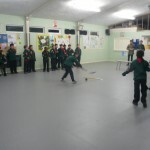 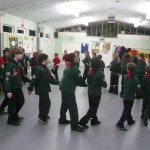 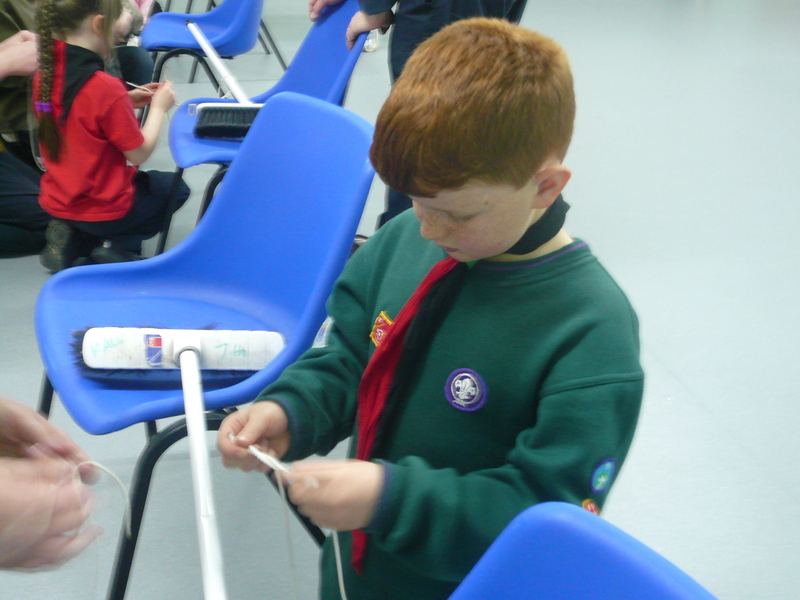 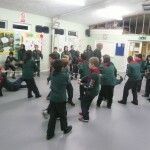 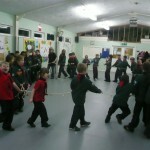 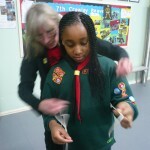 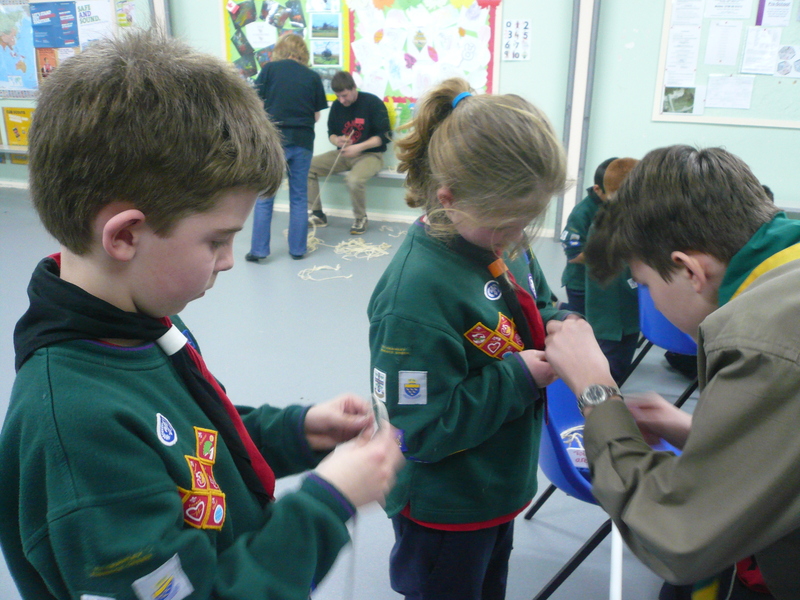 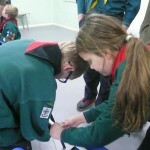 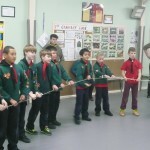 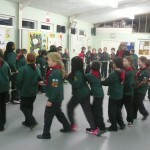 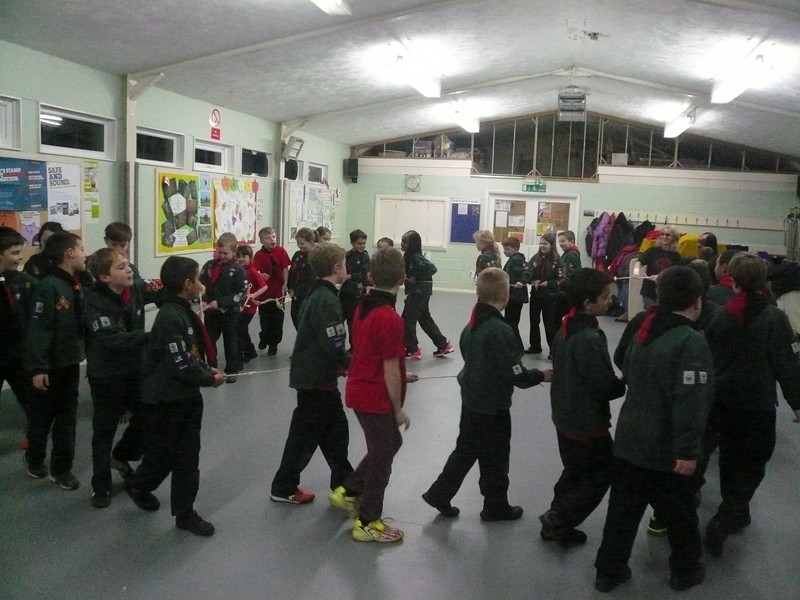 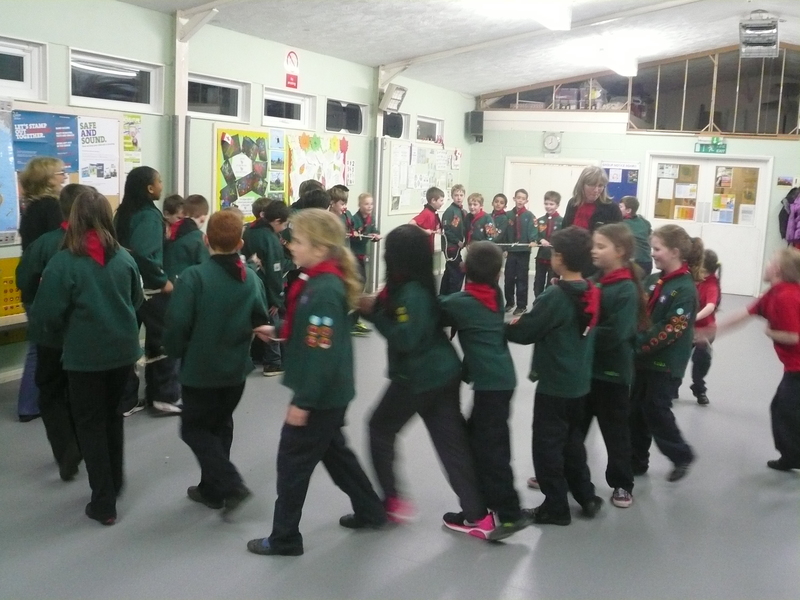 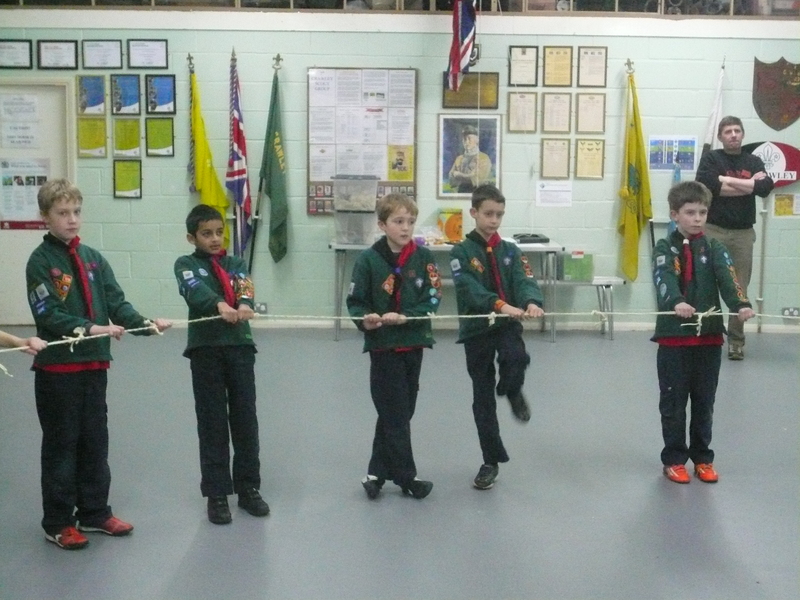 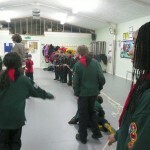 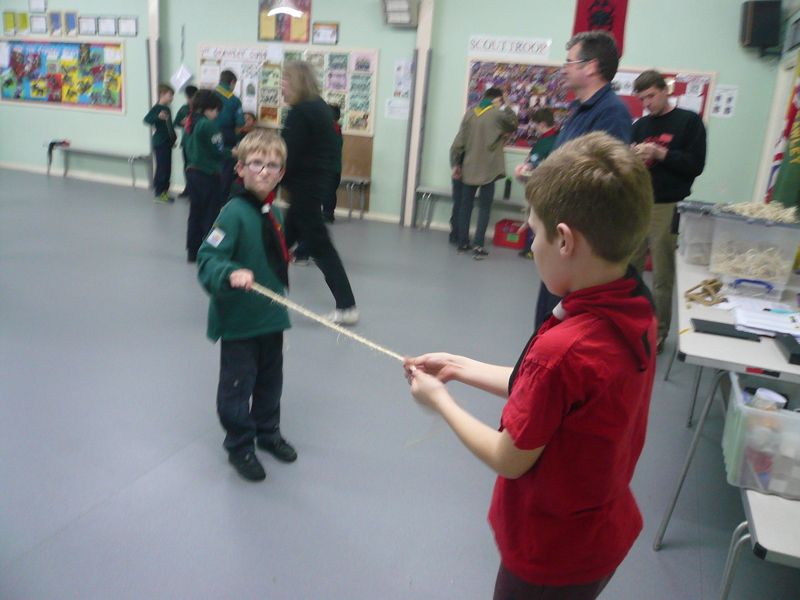 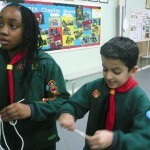 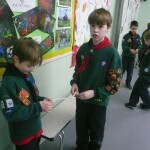 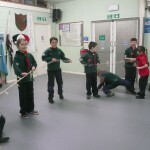 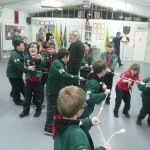 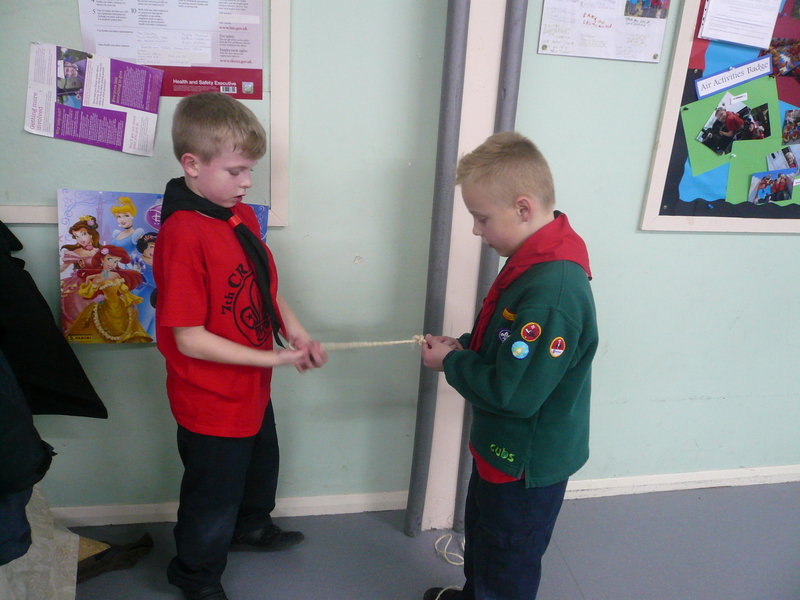 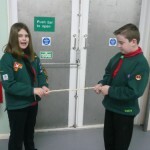 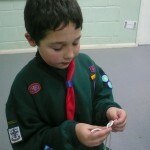 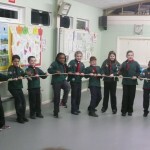 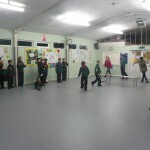 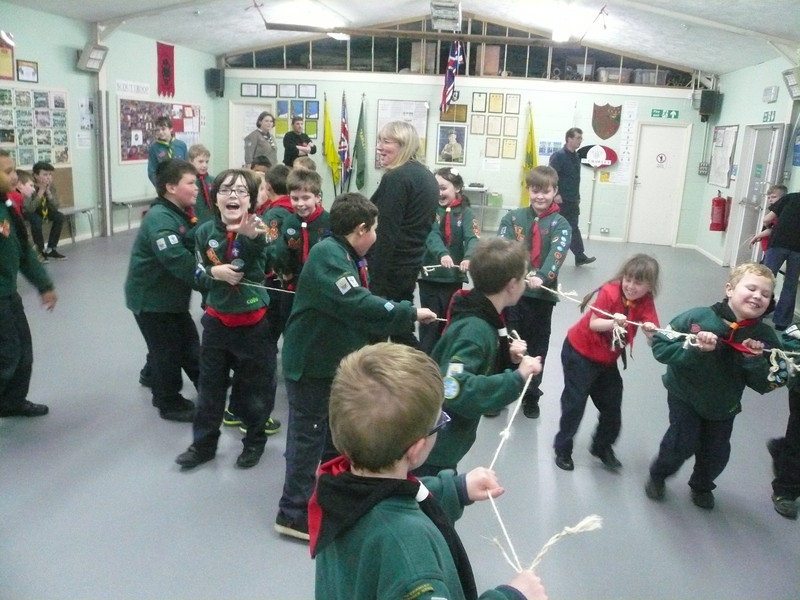 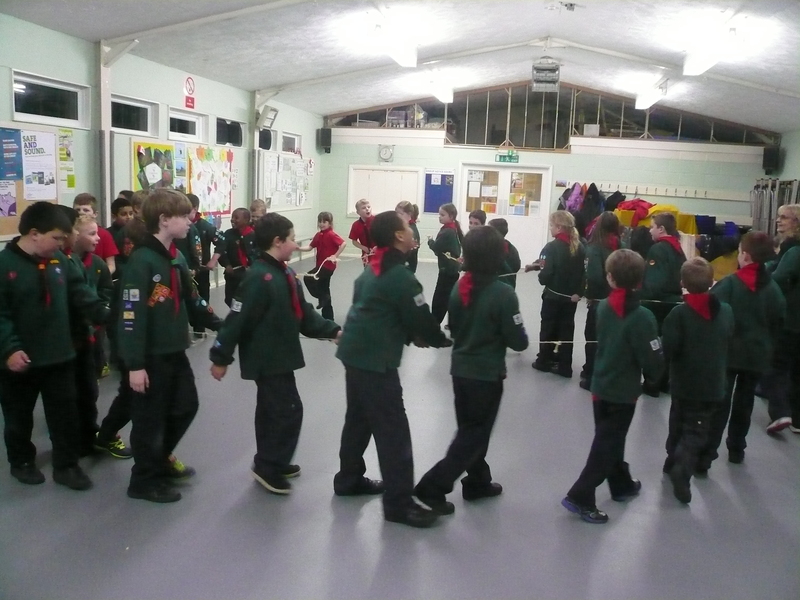 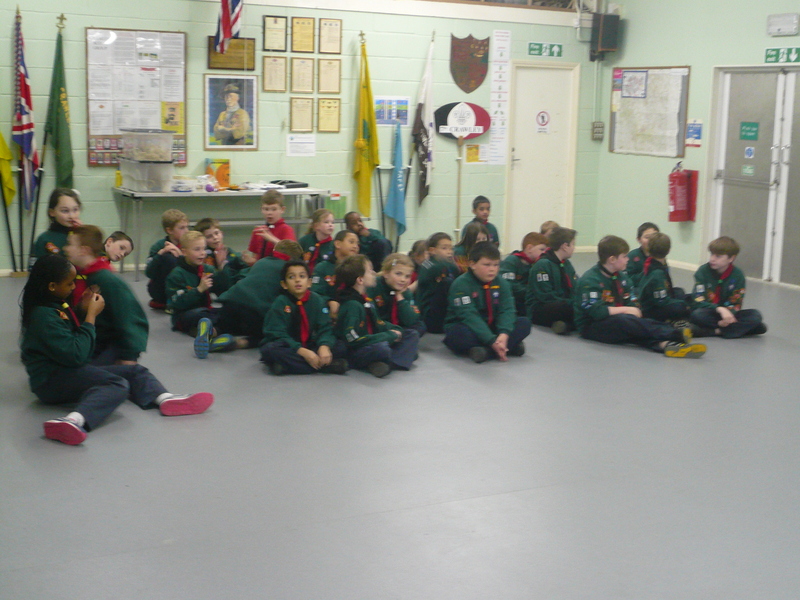 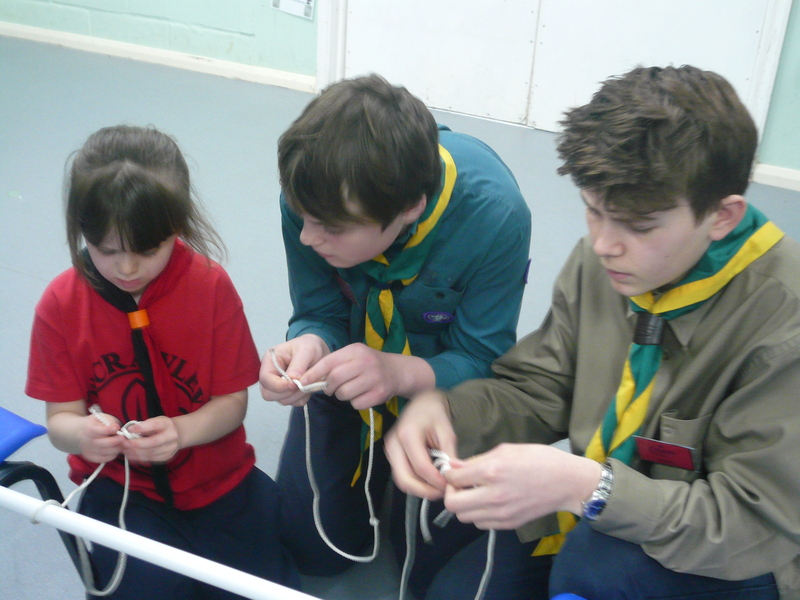 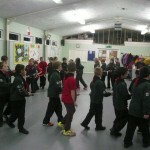 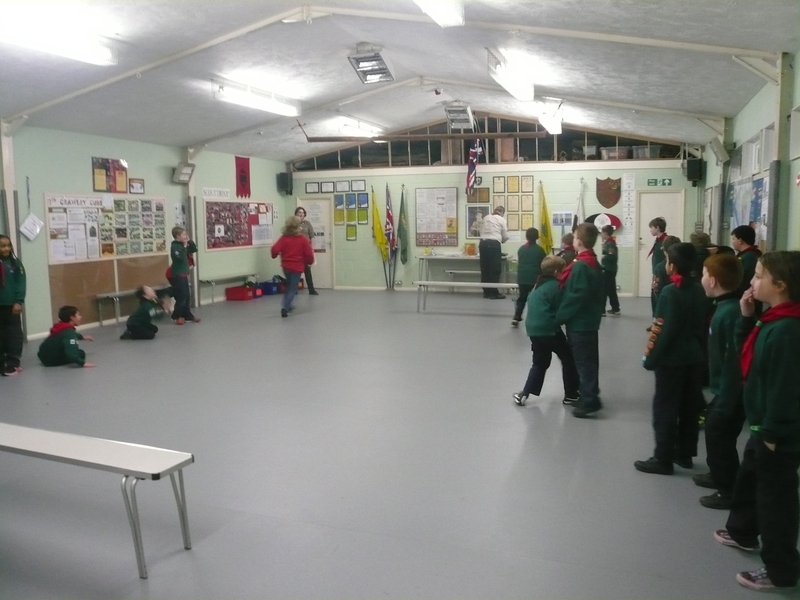 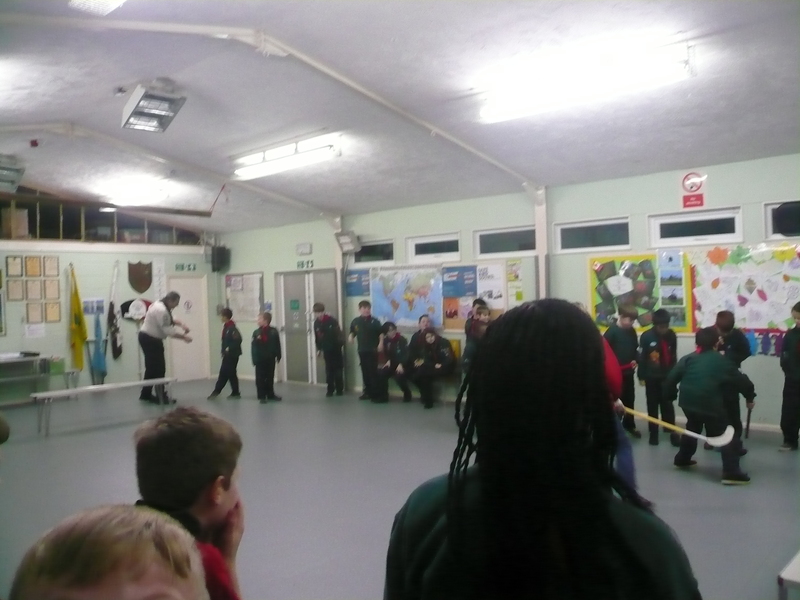 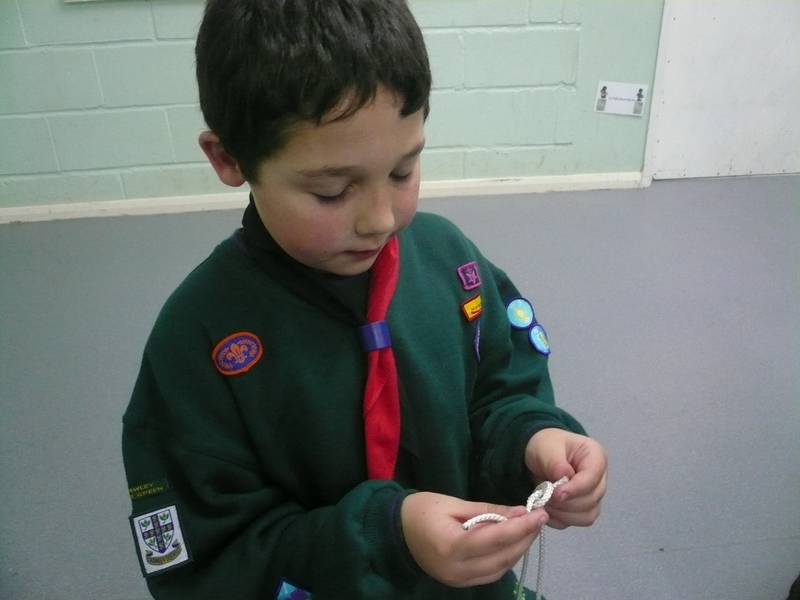 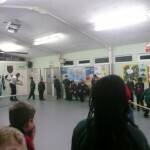 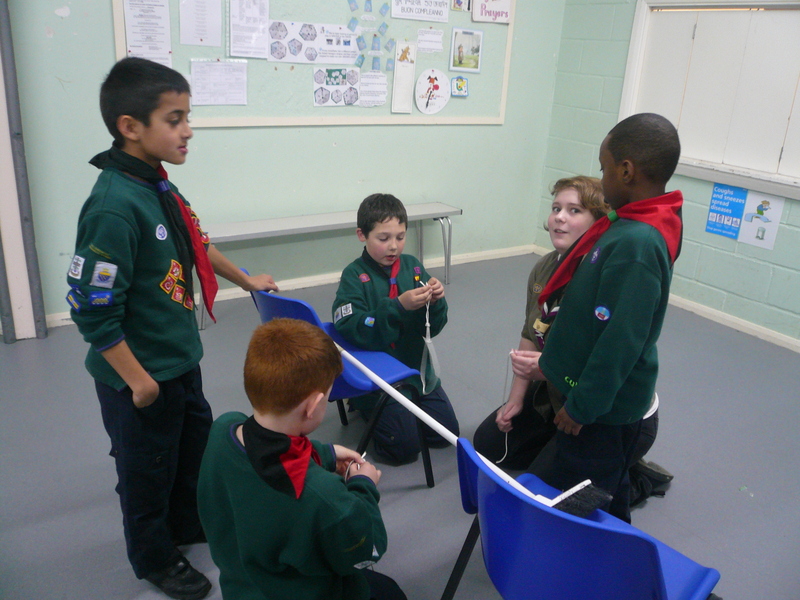 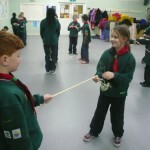 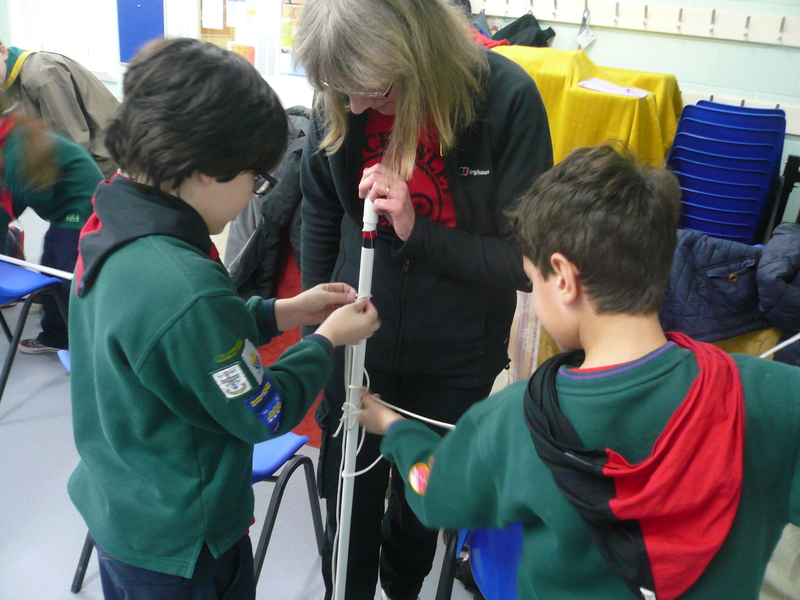 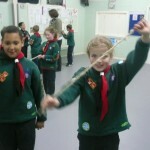 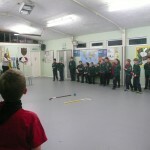 Cubs tonight saw us completing the last requirements of the Pioneer Activity Badge when the Cubs made rope out of pieces of string and then took part in a knot relay. 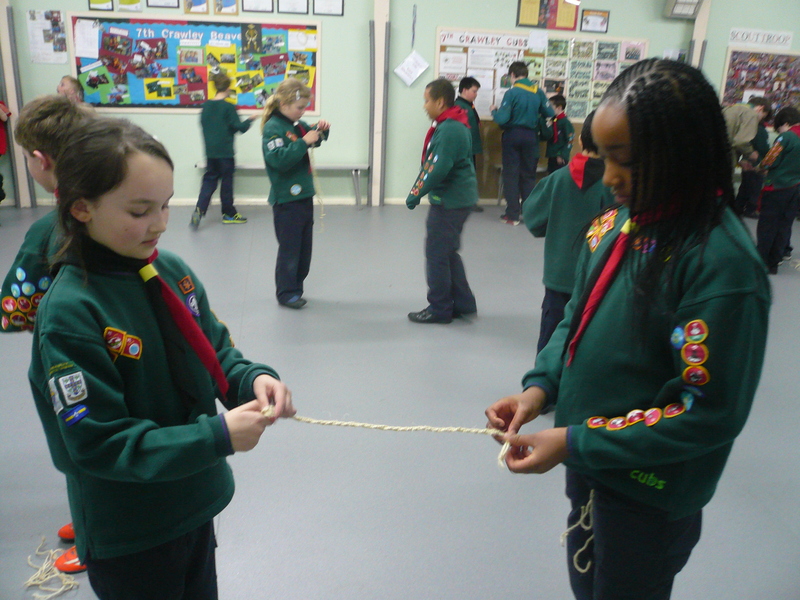 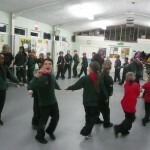 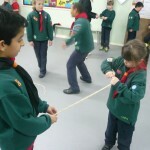 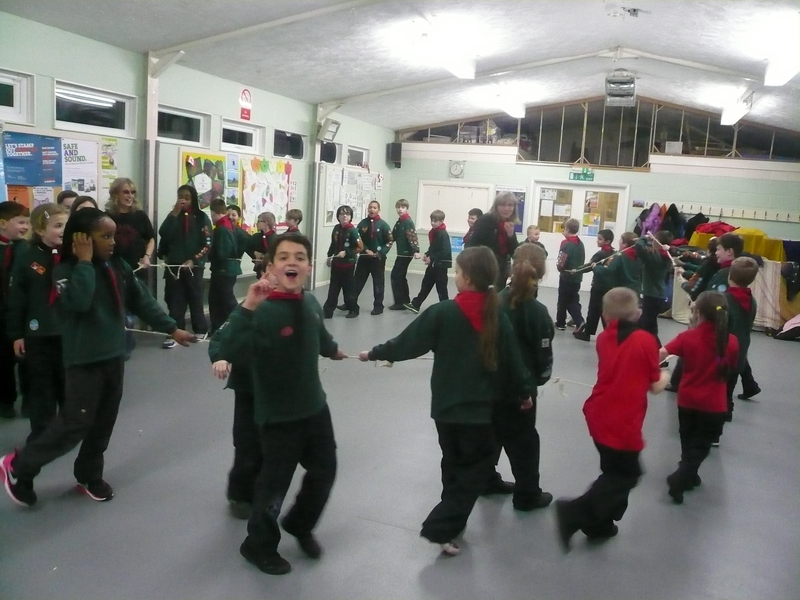 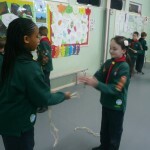 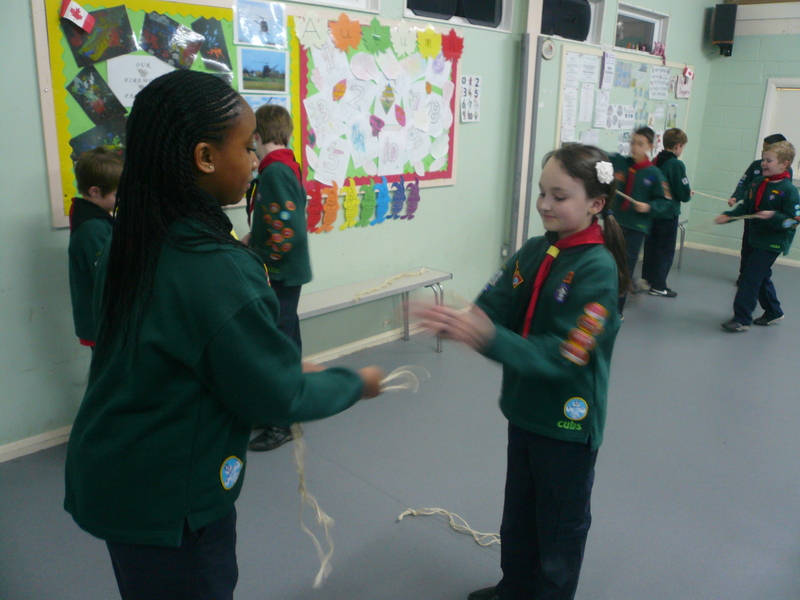 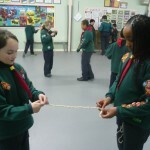 Each Cub also had to join their piece of rope to each others to make one long rope and then they played a game with the length of rope made into a circle. 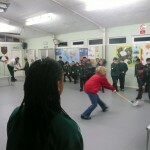 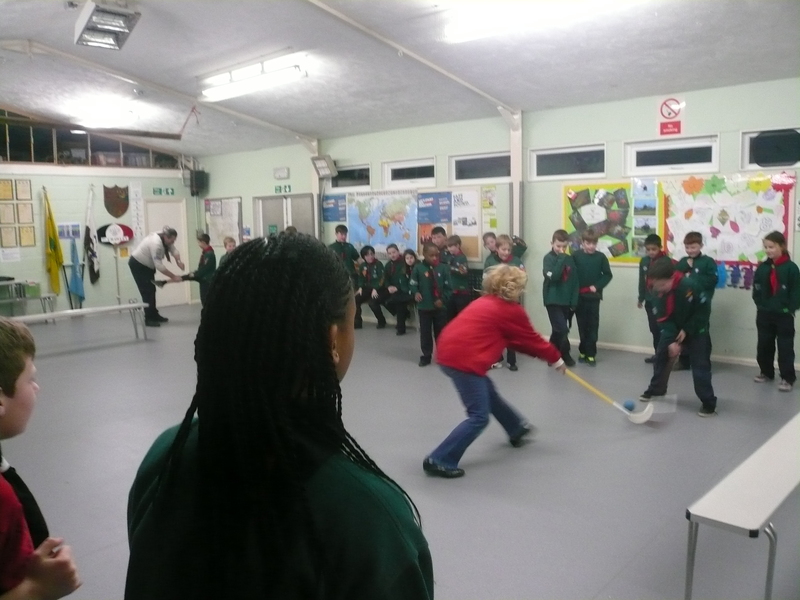 A short hockey tournament rounded off the evening. 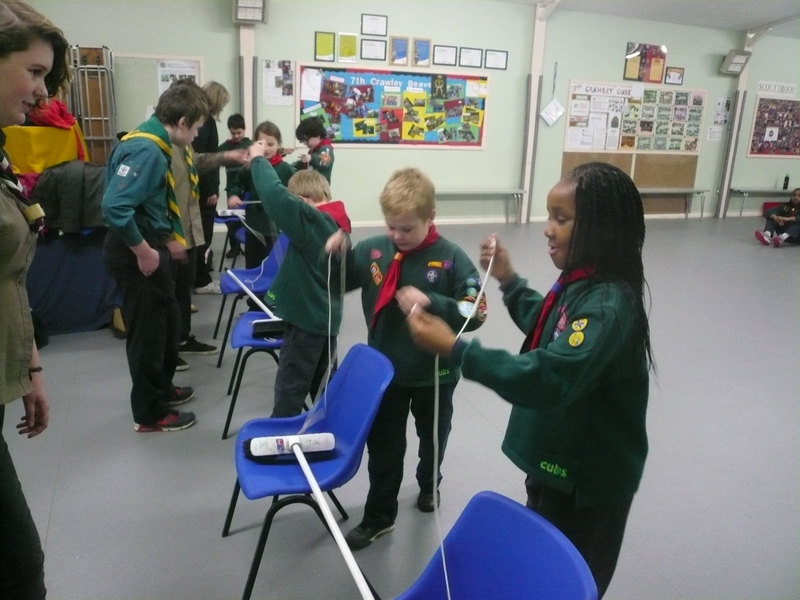 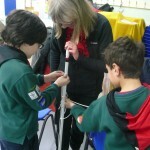 Akela then presented Disability Awareness; Pioneer Activity, Creative Challenge, Astronomers and Scientist badges to a large number of the Pack – Well done everyone!